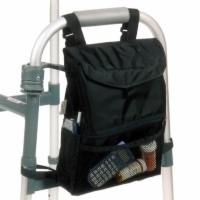 Walker bags attach to the side or front of your walker or rollator giving you an area to store your valuables while you're on the move. We offer walker bags for carrying those small, daily used items - keys, pens, medications, wallet, checkbook, eyeglasses, etc. ?and for larger items such as books and magazines. Adds a small storage area to the side of your walker. 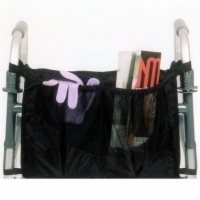 Adds a large storage area with six compartments on the side of your walker. 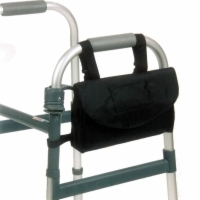 Adds three pockets on the front of your walker for organizing your belongings.